When medium Tess Schaffer’s husband and beloved dog are killed by a drunk driver, her grief throws her beliefs into question and interferes with her ability to commune with spirits. Although two years have passed, she cannot get past the tragedy. Her therapist suggests she take a healing vacation. So where does she go? Where any medium might go, even a dysfunctional one, a haunted resort on the coast of Maine. It doesn’t take Tess long to realize that there is more going on at Sea Willow Haven than a haunting, for she strongly suspects the malice she senses is coming from someone of the living, breathing variety. Determined to uncover the resort’s secrets and put the restless souls haunting it to rest, Tess teams with Kade Sinclair, an ex-marine recovering from wounds sustained in Afghanistan. Although he is skeptical of Tess’s ability and doesn’t believe in ghosts, he cannot deny that something unusual is going on. Besides someone needs to keep Tess safe. As Tess brings the haunting to a final showdown, truths are revealed that tell her just how gifted a medium she really is, and more importantly, she and Kade learn that peace can be achieved even after tragedy. And so can love. 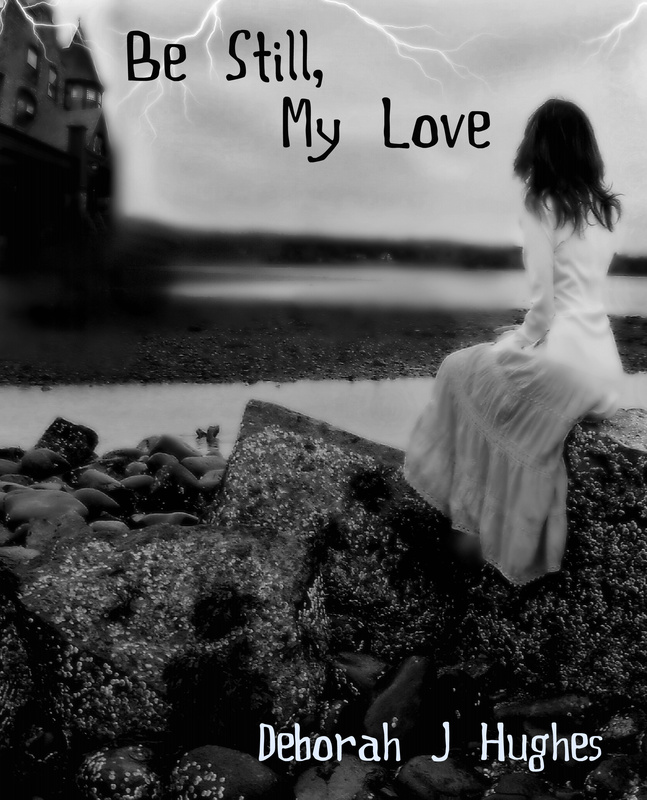 I wrote “Be Still, My Love” because I am fascinated with the idea of mediums. The fact that it is possible to connect with those we have lost to physical death is very compelling to me. I’ve even taken some mediumship classes and though I’ve experienced some success, I’ve a lot to learn! How nice it must be for mediums to stay connected to their loved ones, even after they have passed on. But, I wondered, what if a medium had a loved one die tragically? How would they feel about that, especially if they believed they should have been warned of the pending tragedy and given the opportunity to prevent it? I had recently suffered a loss of one of my beloved animals. My cat was hit by a car and I was pretty upset about that because I had asked God to protect him as I let him out the door. I’ve always believed that God protects whatever we ask him to protect so long as we believe that he will do so. After all, if you are going to ask for something and don’t believe you’ll receive it, well odds are good that you won’t. I, however, truly believed that God would protect my cat. He was dead a couple of hours later. How disappointing and upsetting! It might seem an inconsequential thing to some but for me it was a pretty big deal. My beliefs were thrown into question and I still haven’t figured it all out. But that made me wonder about mediums and how they might react to a similar situation. What if one lost her husband (I added her dog into the mix because of my sorrow over my cat). If someone regularly communicated with their spirit guides and believed (as I did) that angels are here to help when we but ask, wouldn’t that person feel betrayed if their partner died in a tragic, senseless accident? With that idea to go on “Be Still, My Love” was born. The introduction of Kade Sinclair (a Marine) seemed an appropriate answer to the question of who would be the one to start the healing of Tess’s broken heart. We have way too many soldiers coming home from war with physical and emotional wounds. I was curious to see how he would respond to Tess and her gifts. Being a retired military person, I also felt particularly empathetic to his plight and wanted to see this soldier find the peace and love he deserved. The story’s development had me hooked from day one, and I couldn’t wait to finish it for I had no clear idea how it was going to end until it ended. Many surprises popped up throughout the writing of it and I marveled at the creativity of the human brain! I know, it’s probably not cool to be amazed at my self but I was and freely admit it. I am excited to have this book published. Life is full of mysteries and they are all ours to discover! I explore them through writing, research and experiments. I just want to mention I am just new to blogging and absolutely savored your web-site. Very likely I’m going to bookmark your website . You certainly have wonderful article content. Thanks for sharing your blog site. I look forward to your release date. Good luck! Yes, 2012 will be a great year, and you deserve all the success in the world, and you will achieve it!! I cant wait to read more. Now that I can get around a little better on this computer , it will be easier to keep in touch with you. Hope all is well. Somehow your comment landed in my spam folder! Sorry! Just now decided to check out the folder and saw you lurking in there! (smile) I can’t wait to get this book published!! Thanks for reading my blogs! I have been Deborahs Best Friend for almost 30 years, and outside of her Mother and Father, I may be her oldest and Biggest Fan.She use to write short Stories and then read them to me, as a sounding board.I knew she had Talent from the very beginning. Nothing you do really amazes me, because I know just how AMAZING you are! I love you, and expect a Signed copy of your first Published Novel, winks. I’ve read a lot of your book, Deborah, and am most impressed with your ability to spin a good yarn…and I know how difficult it is to pull it all together. It’s a great read and I wish you all the very best with it. I can still remember the atmosphere you created as I entered the story. Thank you so much, Barbara! Hope your own writing is going well. Have you thought about blogging? You are so knowledgeable about so many things! Maybe one day, Deborah, when I finally get one of my books finished. I’m so excited about yours though. Now off to write another chapter. You should be amazed with yourself…you’re a talented writer! The book is going to be successful. How can it not be? I can’t wait for you to publish it! Thanks, April! We will celebrate together when it’s out and running!